After a big fat blank with regards to Tales of Graces F's localization, we finally get a tiny bit of an update regarding its status, albeit not exactly concrete. The bit of information we have is from the latest podcast by 8-4, Ltd, a localization company situated in Shibuya, Tokyo. They usually handle localization matters such as translation of the game from Japanese to English for companies like Namdai, Square Enix, XSEED, etc. In the podcast, at around 2:14:20, 8-4 mentions that localization for Tales of Graces F is now complete, which also means that the English dubbing by Cup of Tea Productions is also done. They have also given an estimate that we can expect the game to be out in the US early 2012, possibly around January or February. "Graces, which we finally finished a while ago, is probably coming out soon, in January maybe? I don't know if they announced the date yet." The podcast also talks a bit about the latest news of Namco Bandai absorbing Tales Studio. 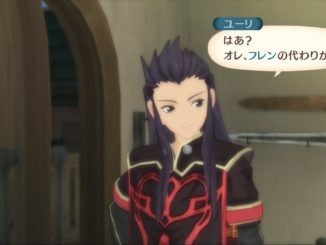 With how successful Tales is in Japan, they don't really think the series itself will be gone, and it was most likely a move to rack in more money. 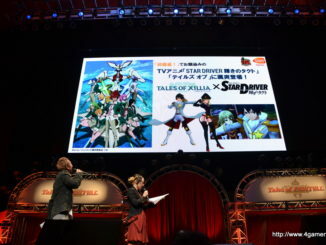 There's also a bit about Tales of Xillia that sold "so crazy well in Japan", which they deemed the most successful Tales game ever, or "the bond increasing game that will heal the scars of your heart." You can directly listen to or download the podcast from 8-4's site, or you can get it via iTunes. The podcast, entitled SKYRIM-WARDLOFT SWORD... ERS, actually focuses more on other games, mainly Legend of Zelda: Skyward Sword and Skyrim. 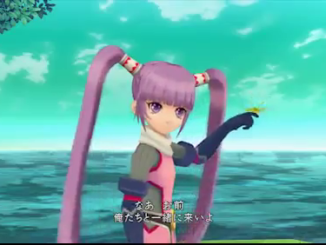 The little bit about Graces F is mentioned during the podcast's closing comments. UPDATE (11/27/2011): JohnTV, who works for 8-4, points out that this is a mere estimate. They don't really know exactly when the game will be out, only that it will be sometime early 2012, as far as they heard. At the very least, their part on the localization is done. 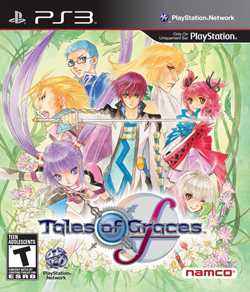 Tales of Graces F is now available for pre-orders on Play-Asia.